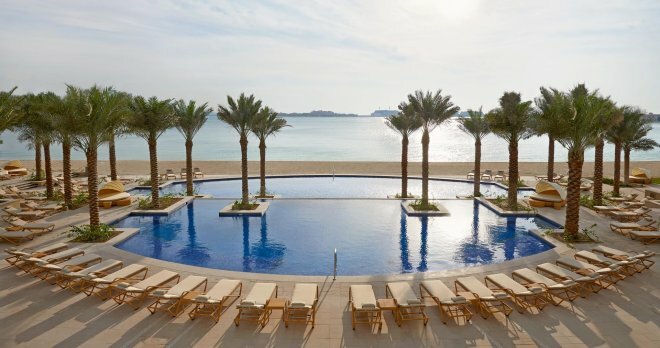 The iconic Palm Jumeirah, the world’s largest human-engineered island in the shape of a palm tree, is a destination steeped in sea-inspired elegance; a place where magnificent tourist attractions and miles of white sand wait at every turn. 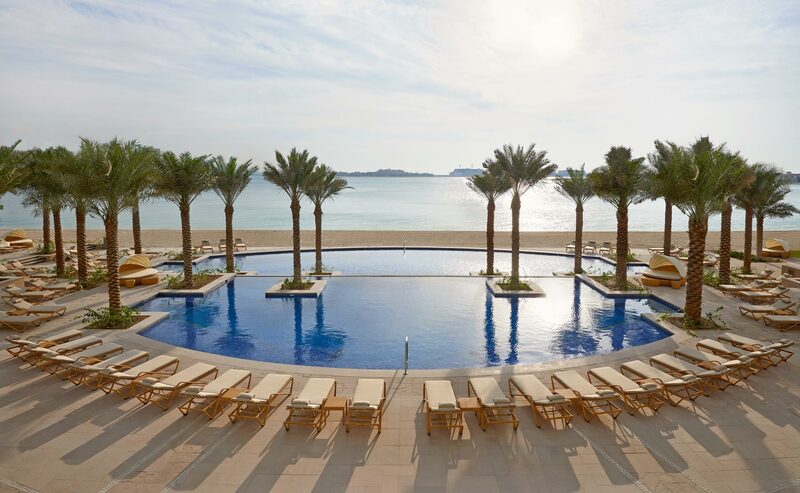 Adding a friendly welcome is the exquisite beach-side setting of Fairmont The Palm, conveniently located close to all that this exclusive region has to offer. 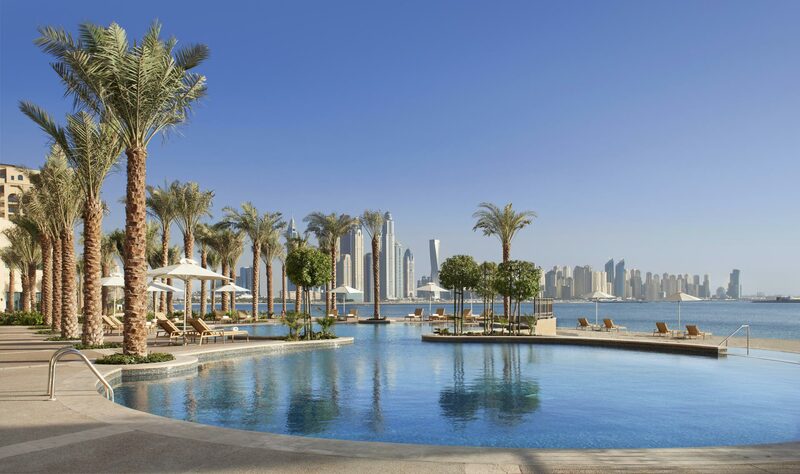 Among the amenities are glistening pools and a private beach featuring cabanas with butler service. 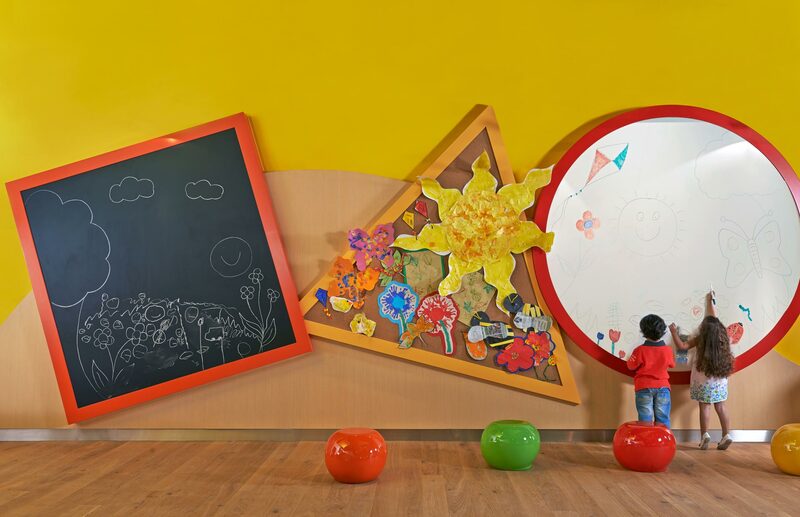 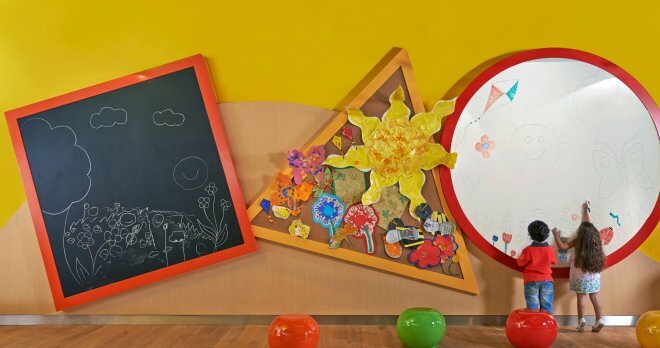 A children’s activity centre keeps the kids equally entertained. 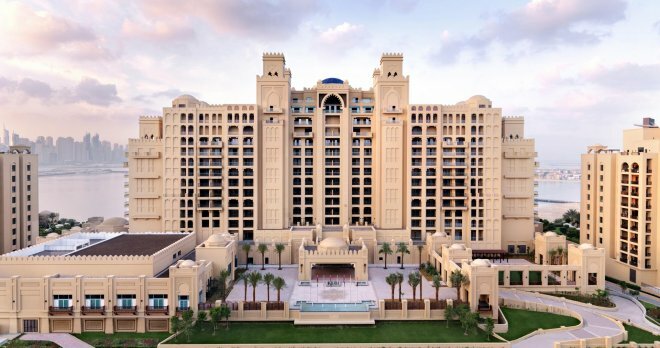 Inside, contemporary architecture sets the backdrop for authentic Arabic touches, from artwork to a colour palette honouring sand and sea. 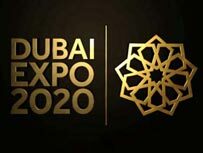 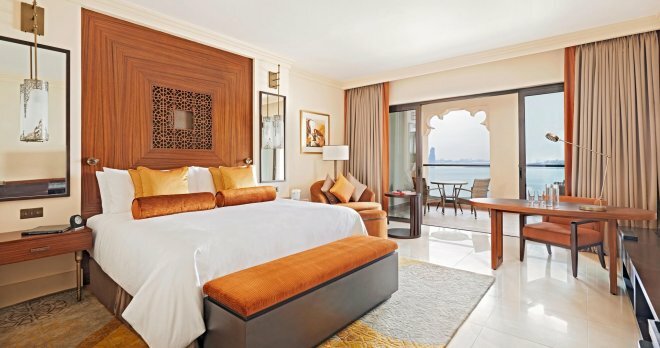 Offering extraordinary comfort and spectacular views of the Dubai Marina skyline and Arabian Gulf throughout, this landmark hotel well suits the prestige of the island itself. 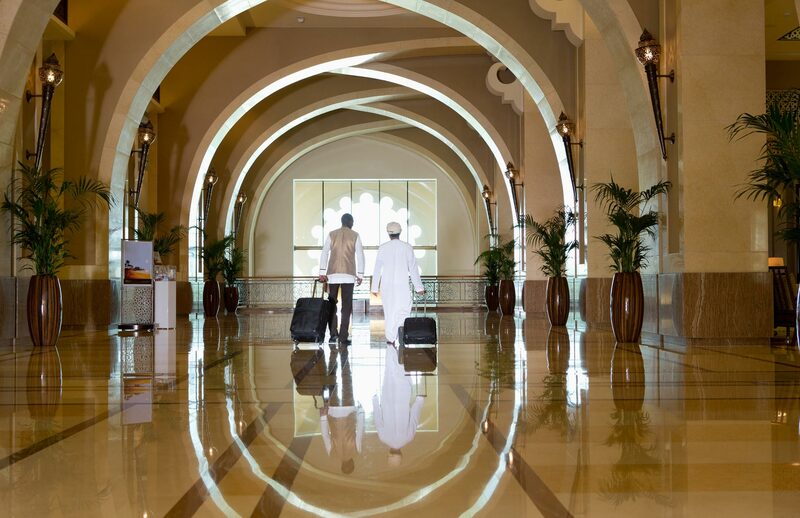 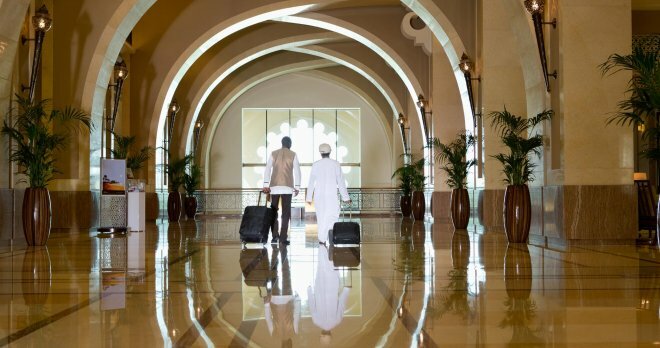 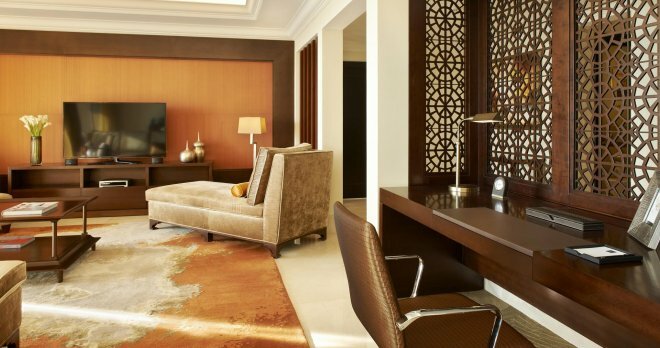 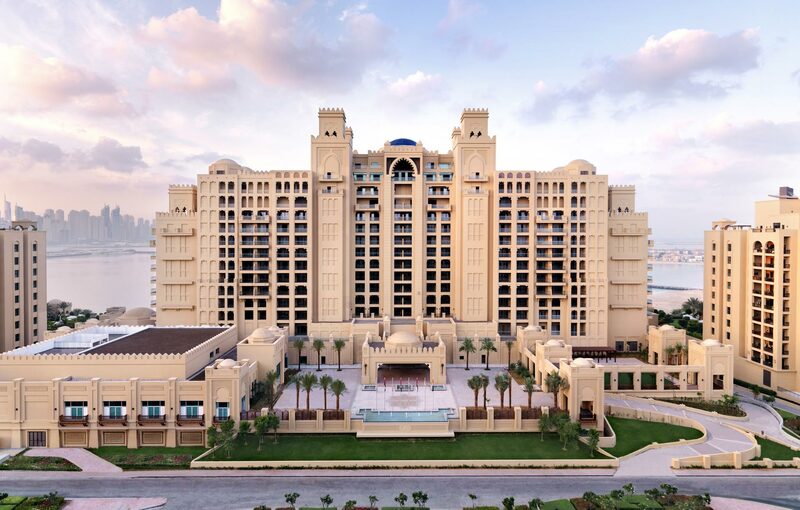 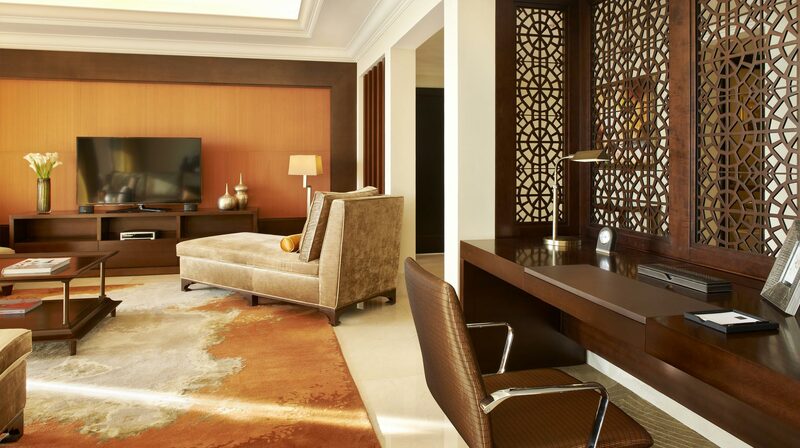 Each of our 381 guest rooms and suites offers the utmost in contemporary elegance, along with authentic Arabic touches inspired by traditional Mashrabiya architecture. 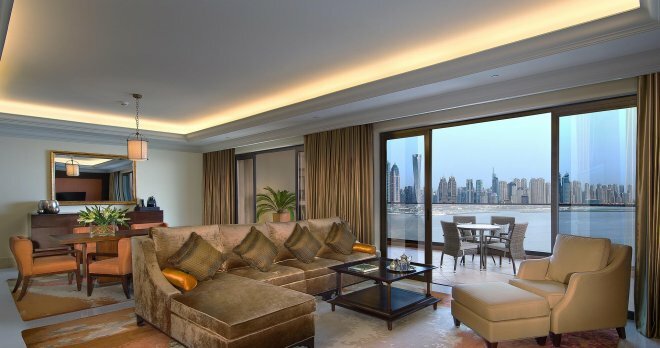 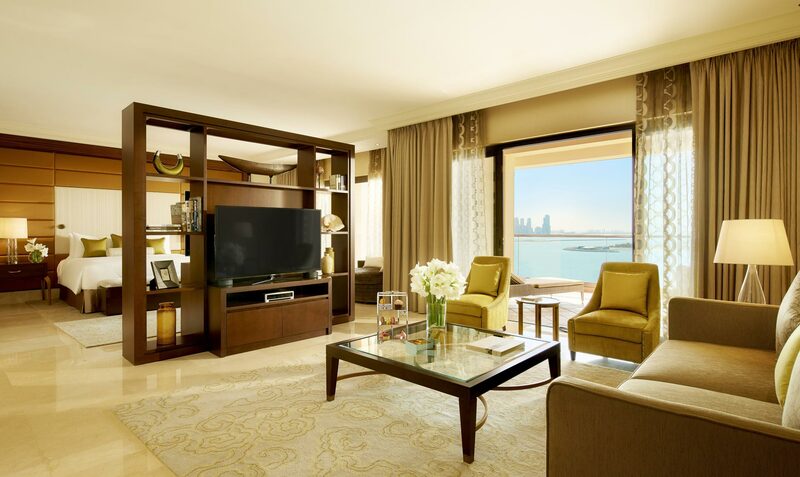 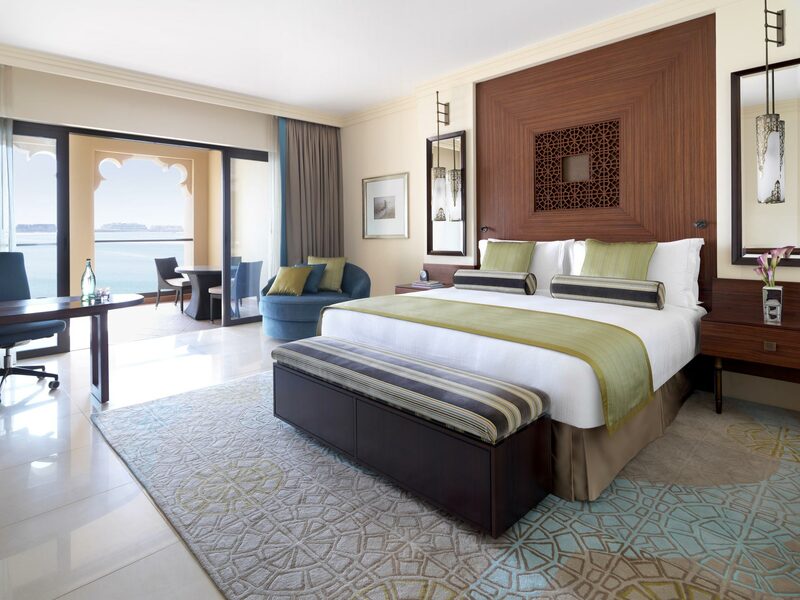 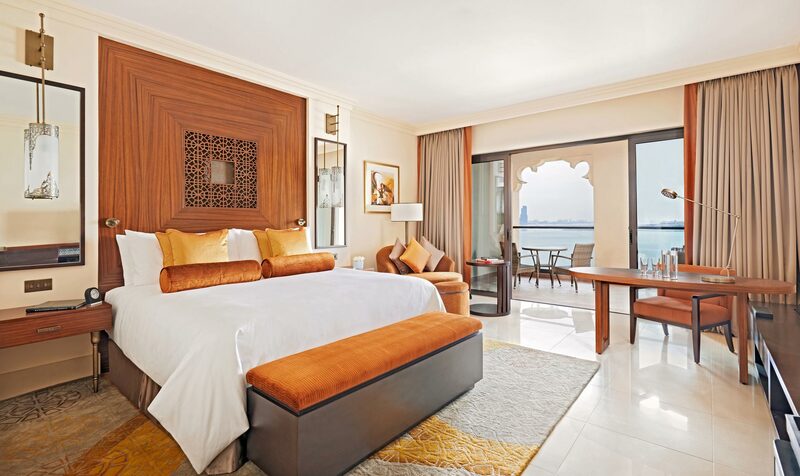 Many guest rooms can also be connected for added space and convenience, while large balconies provide panoramic views of the Dubai Marina, Arabian Gulf or distant city skyline—perfect for a leisurely breakfast or an intimate dinner, catered by a dedicated Fairmont butler. 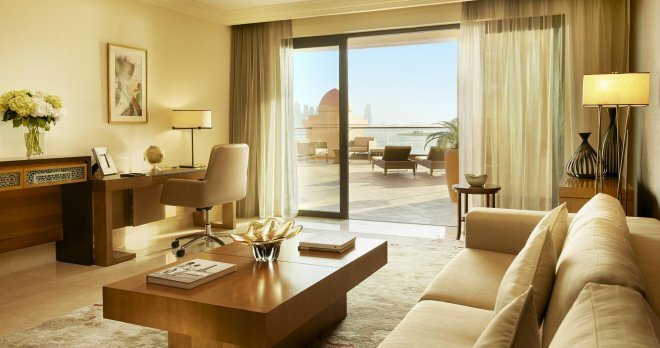 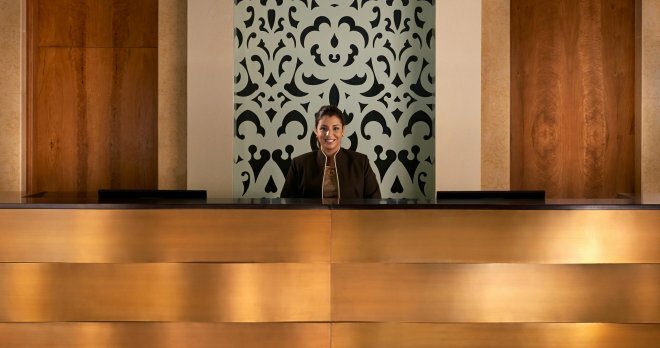 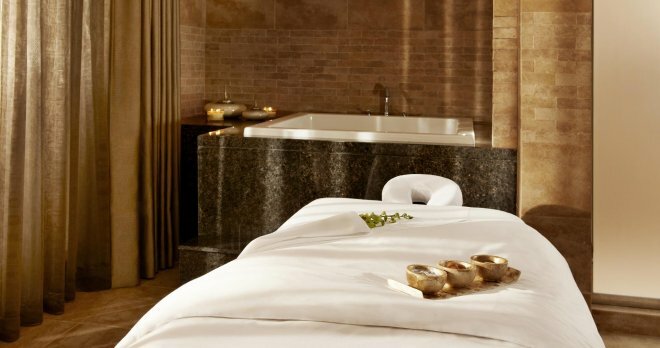 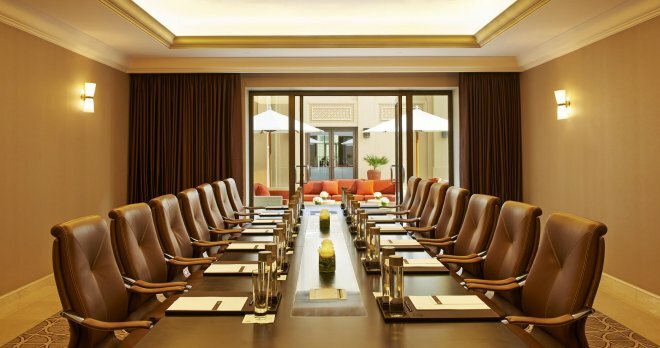 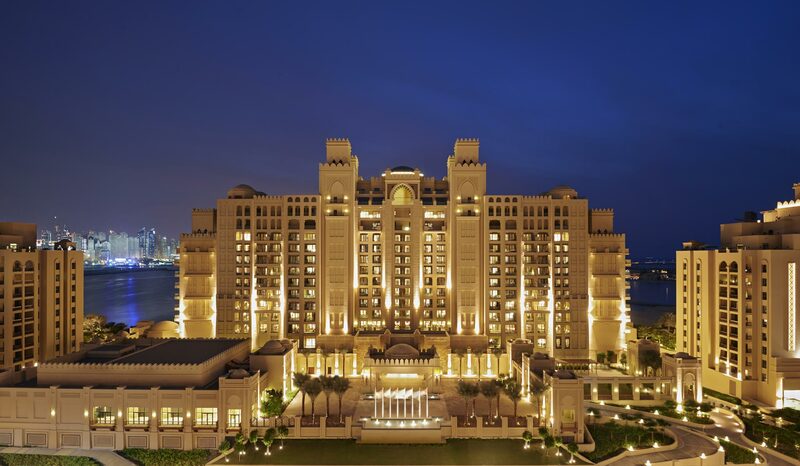 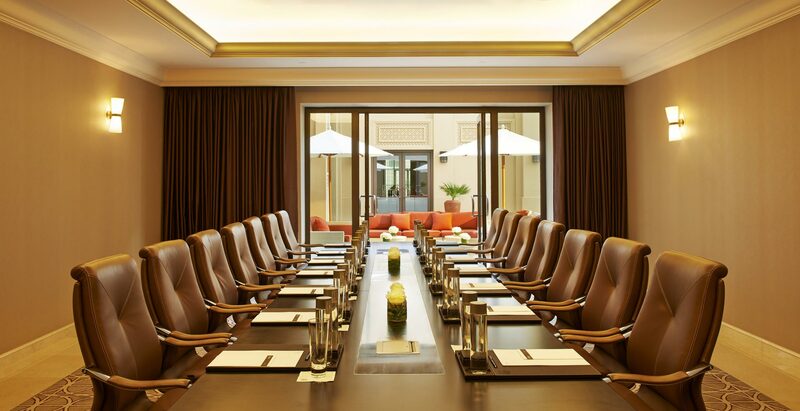 Fairmont The Palm is pleased to offer Fairmont Gold—a hotel within a hotel, where the art of exceptional service is elevated to create an exclusive personal experience. 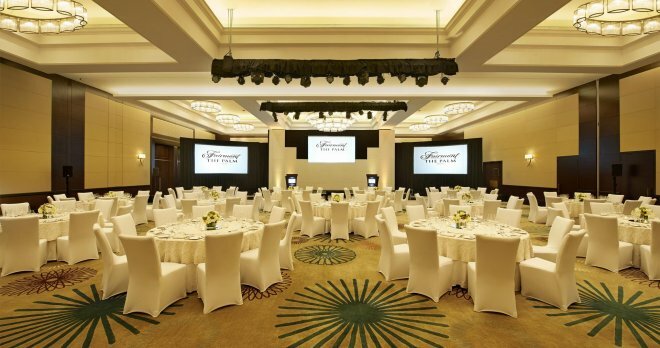 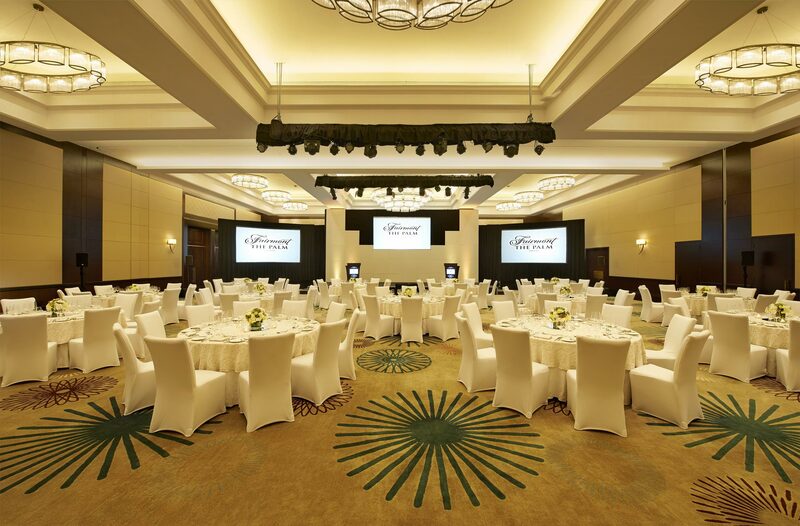 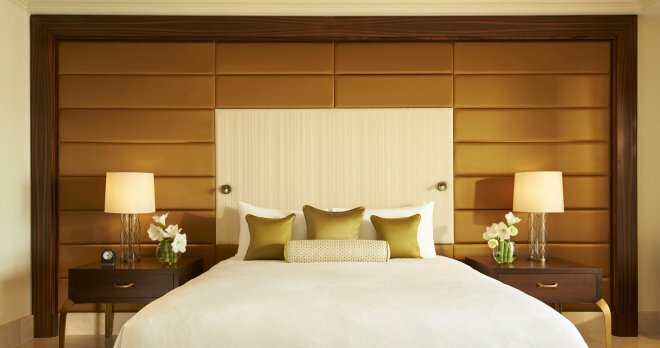 Among the additional privileges and amenities that guests will enjoy are private express check-in and access to the luxurious Fairmont Gold Lounge, which offers a chef’s station, full breakfast buffet, elegant afternoon coffee, and evening drinks and hors-d’oeuvres. 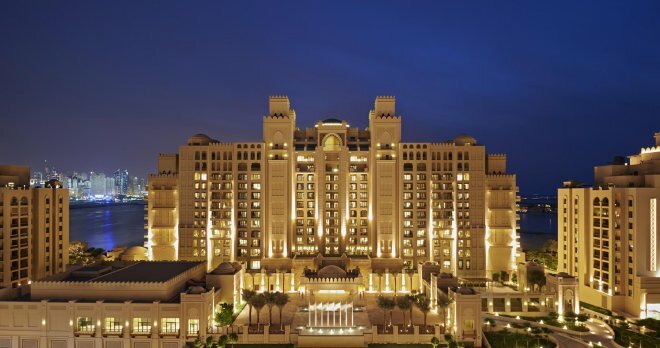 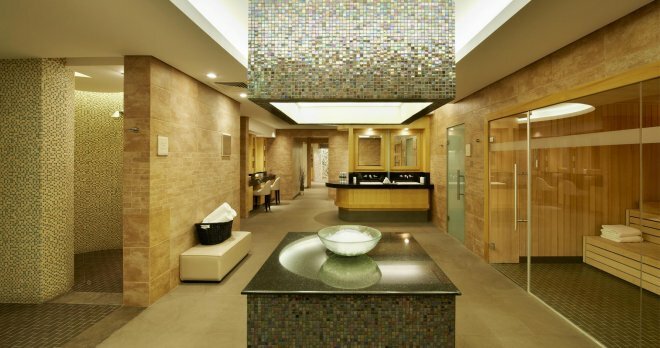 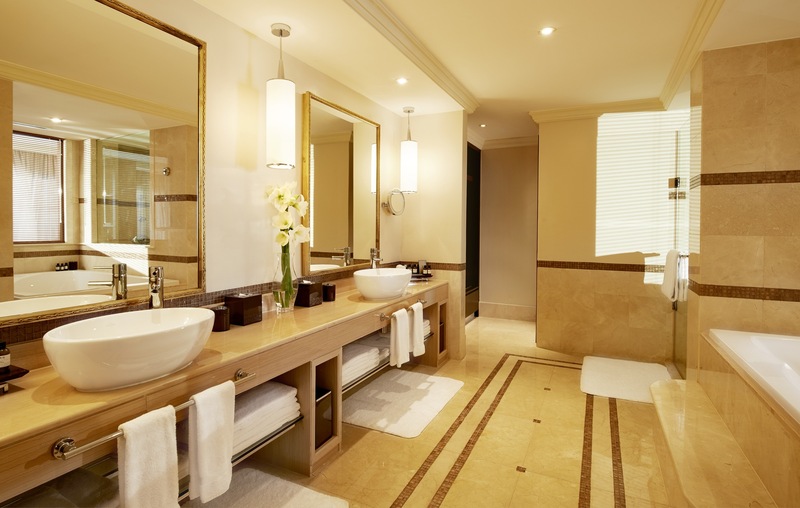 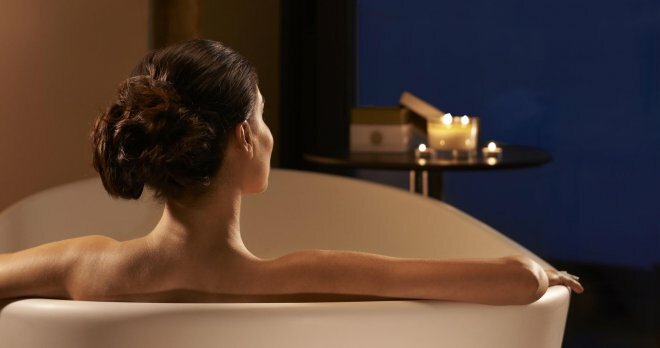 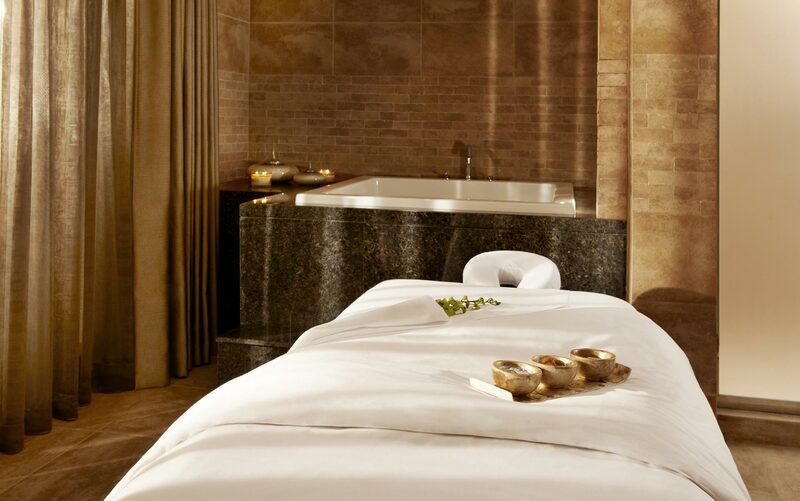 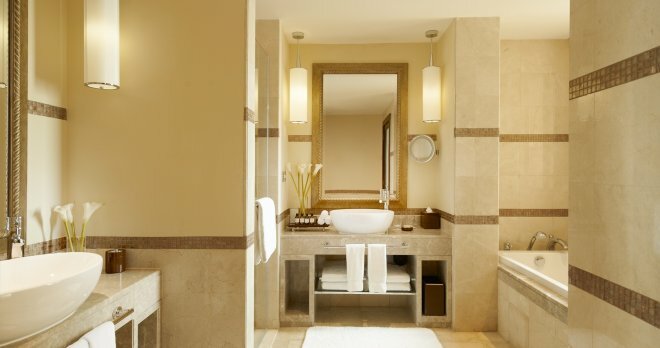 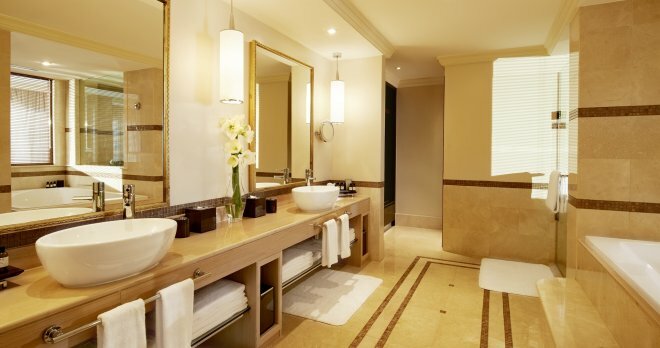 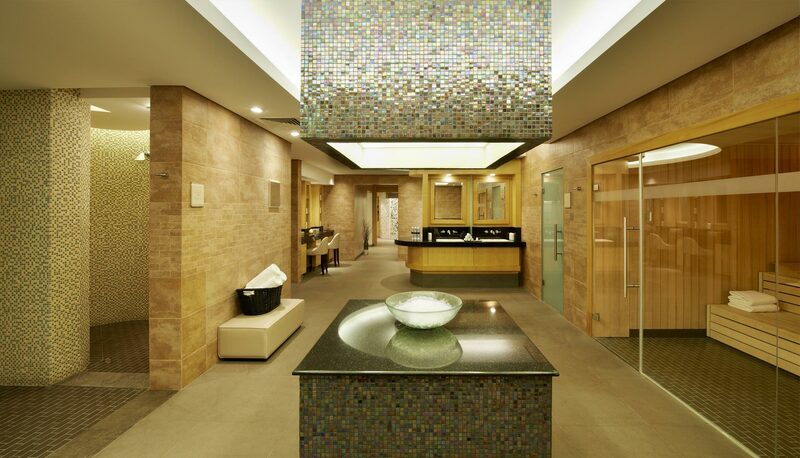 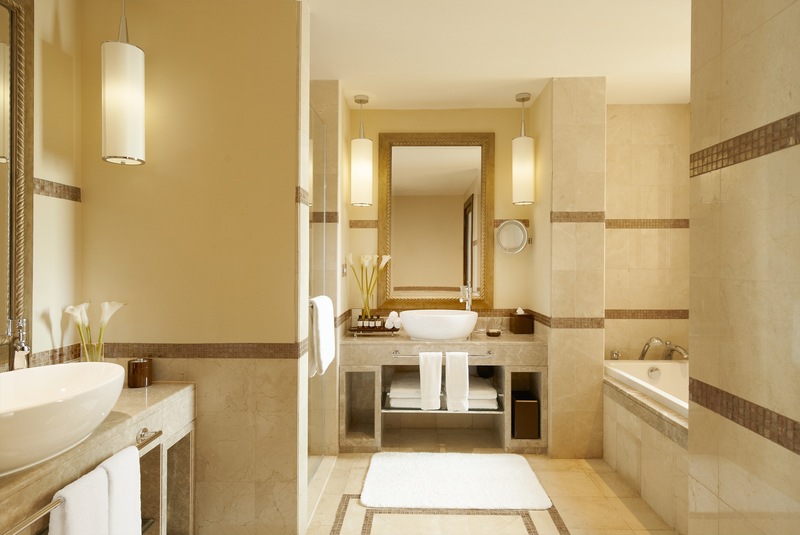 It all combines to create an elegant and ultra-luxurious stay—one that is truly a world apart. 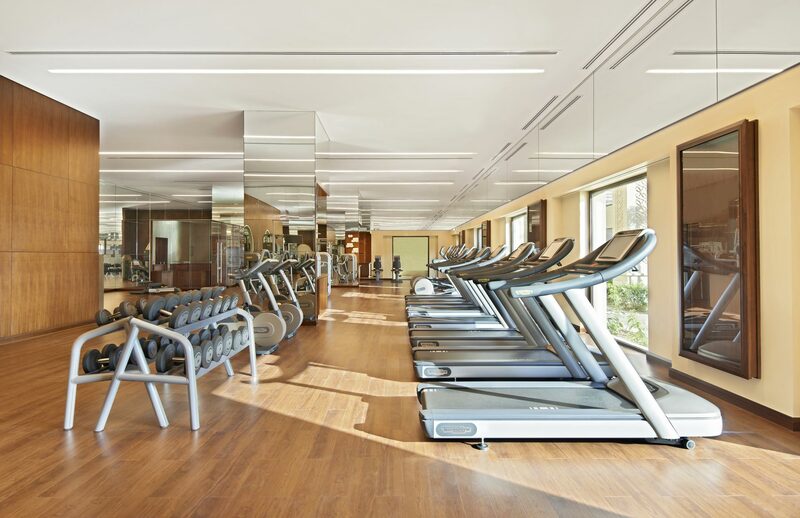 A full-service health club offers weight and cardiovascular machines, free weights and personal-training services. 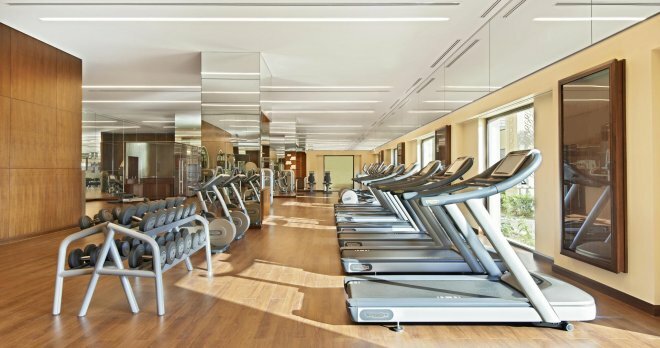 The hotel’s outdoor pool complex and private beach add even more options for fitness and fun. 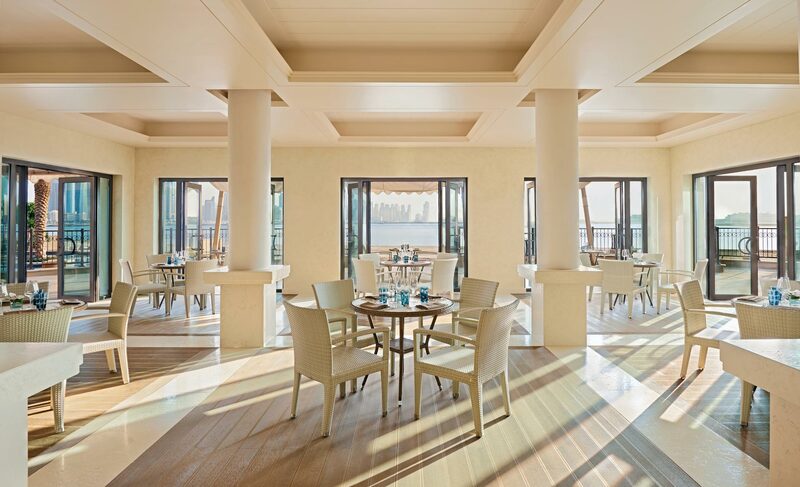 Flow Kitchen: A variety of eclectic dishes, from casual breakfast and lunch buffet to sophisticated à la carte dining. 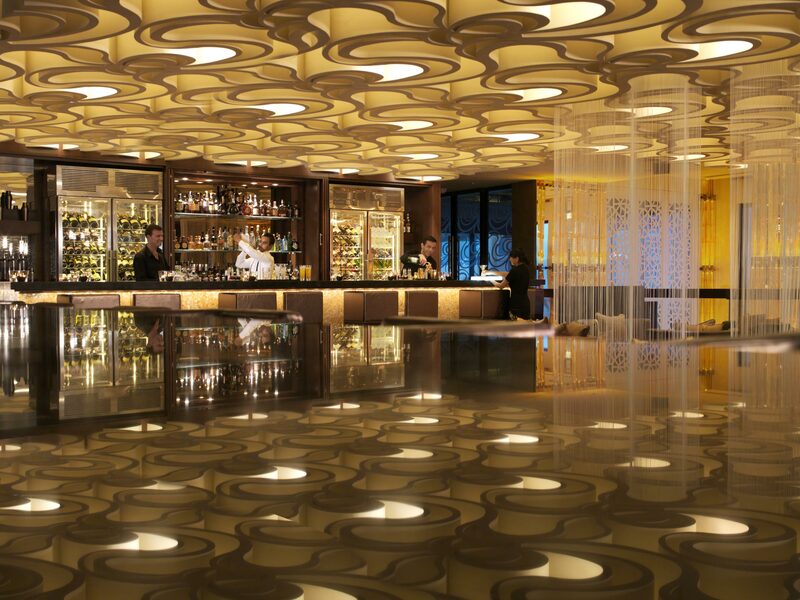 Frevo: One of the city’s only authentic Brazilian restaurants, with churrasco grilling and entertainment. 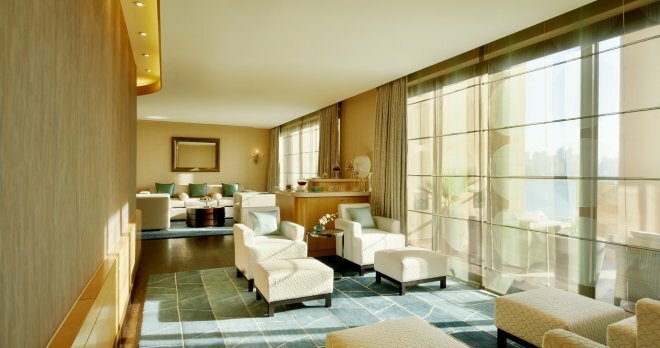 The Cigar Room: Chic surroundings, featuring a walk-in humidor, a selection of fine malts and cognacs, and stellar views. 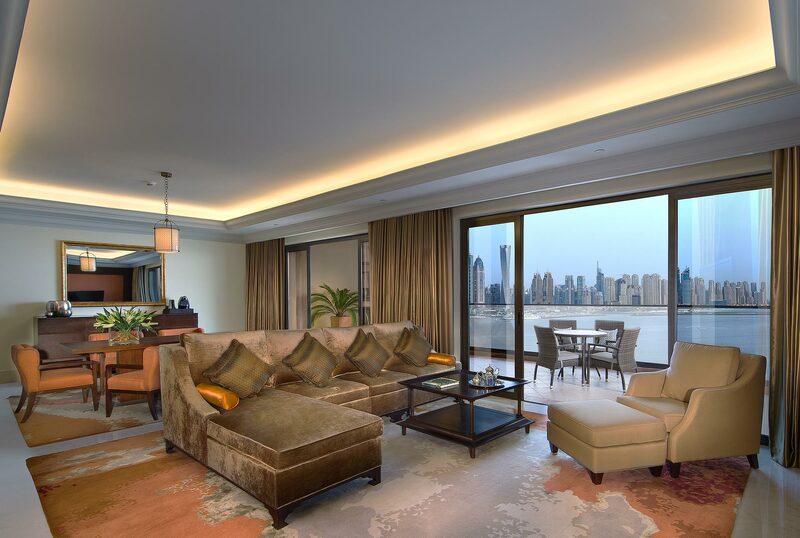 Bā Restaurant: Soak in the chic and elegantambience, while the team of chefs, who have been hand-picked to represent 8 regions in China, create culinary masterpieces. 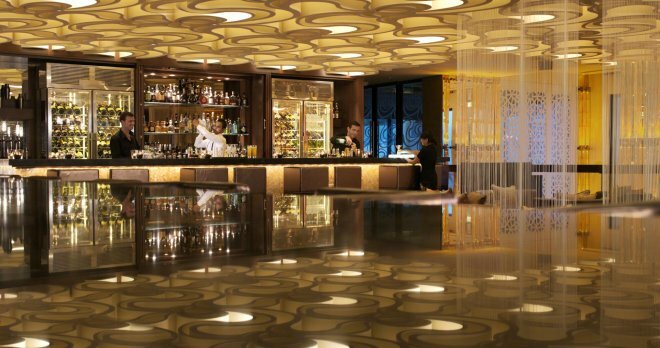 Bā Lounge: Groove to the tunes of the resident DJ with creative cocktails, an extensive wine selection and Asian tapas. 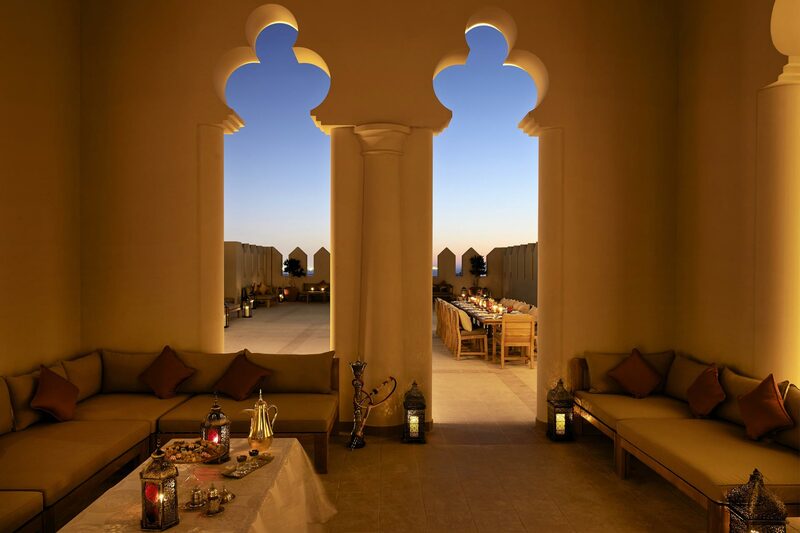 Mashrabiya Lounge: A world of rich flavor— featuring the best coffee and teas, afternoon tea and stunning views. 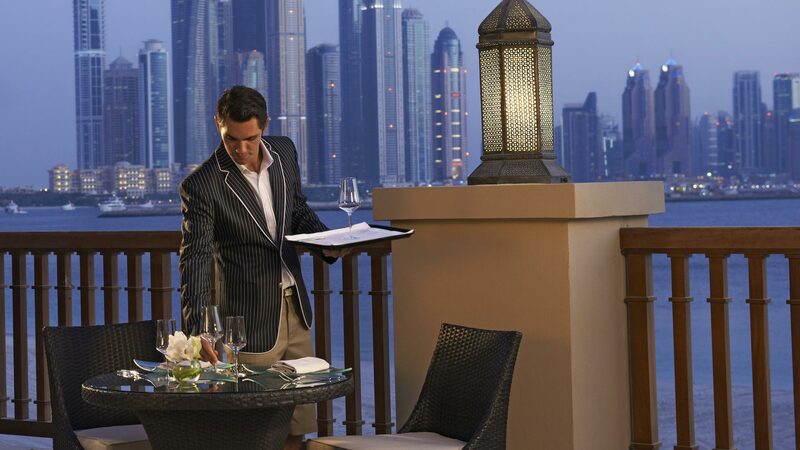 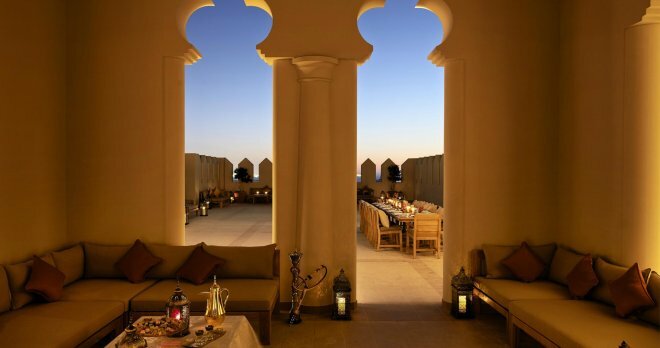 Seagrill on 25° Restaurant & Lounge: Featuring seafood with a Mediterranean twist and evening shisha service. 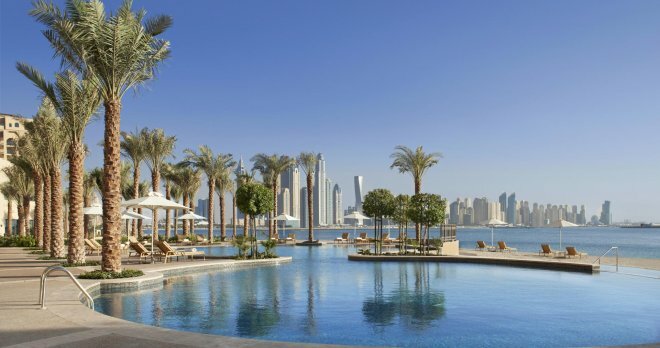 Beach and pool service: Refreshments and snacks delivered to you, while you take in a relaxed beach-side setting overlooking the Arabian Gulf and the Dubai Marina. 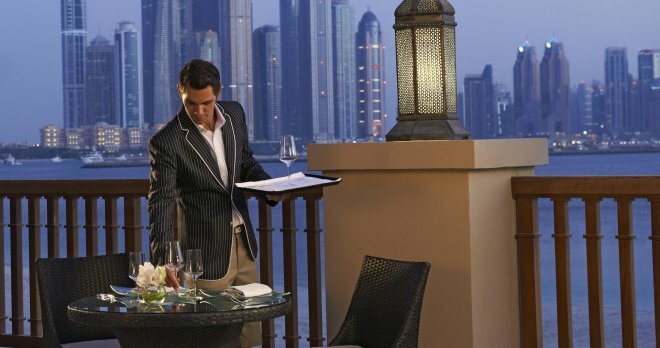 In-Room Dining: Offering 24 hours a day in-room dining served in the privacy and comfort of your room or on your balcony. 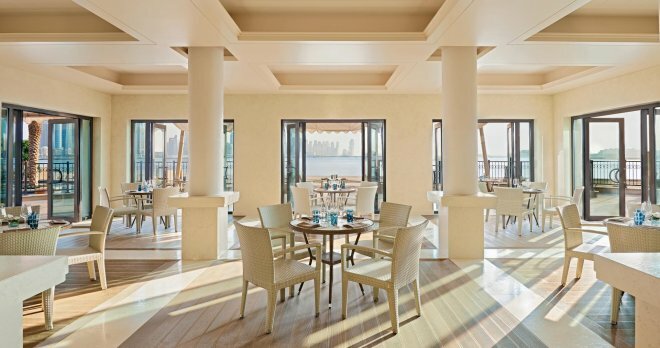 Delicacy: A variety of freshly baked breads, croissants and cakes are available at this take-away venue.